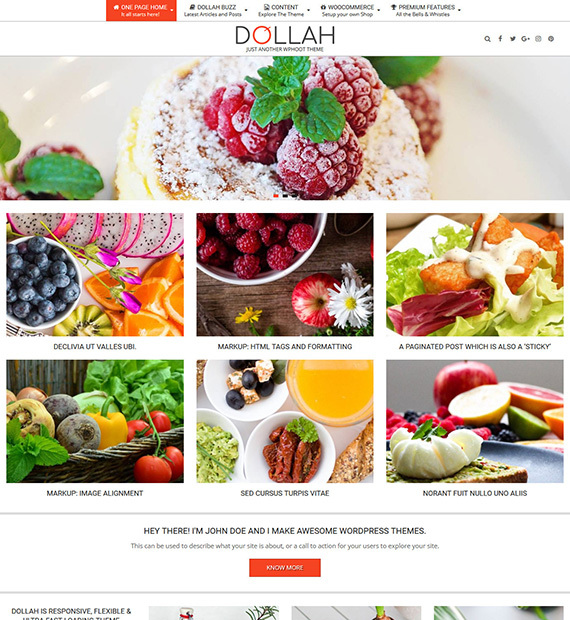 Dollah is a free WordPress theme that is designed to help show off food-related content in a beautiful and elegant manner. This retina ready theme will help ensure that your images are crisp and high quality. As it is SEO optimized, you will also have an easier time reaching a wider audience through Search Engines. This theme is also flexible enough that it can be perfect for all kinds of image-based websites. Dollah also features a secure code and ensures fast load times.